Bolt cutters are useful equipment to have at home. Whether or not you are the DIY handyman type of person, you can never tell when an emergency can arise. Finding the best bolt cutters for you will not only make the job more comfortable, but it can also help you in emergencies! What are the uses of bolt cutters? It’s no surprise that Tekton’s bolt cutter is at the top of my list. Tekton has been well-known for manufacturing high-quality equipment and tools. With their bolt cutters, you’ll get a robust and efficient 36-inch cutter that makes repair a lot easier. The backbone of Tekton’s efficiency lies behind its “less force, more power” principle. For starters, this is possible thanks to its hardened alloy steel jaws. These powerful jaws work side-by-side with its non-slip cushioned grip. Another thing that makes this product stand out is its powerful compound hinge cutting action. These drop forged alloy steel jaws are robust when dealing with hard objects. Thus, this bolt cutter isn’t only fit for bolts, but it’s also suitable for padlocks and chains! The jaws can not only be adjusted, but you can also replace it! Be sure to adjust it appropriately for proper maintenance! Neiko’s heavy duty bolt cutter can easily battle it out with the Tekton for the editor’s pick. You’ll get no less than the top-notch performance from this brand as well. One of the first things you’ll notice here is Neiko’s sleek silver and black design. That design isn’t just for show though, because those sleek colors come from high-quality chrome. It comes in chrome moly steel. That is the reason why Neiko can cut through harder objects compared to chrome vanadium cutters. If you are on a tight budget, then Tradespro’s 14 inch bolt cutter might be a good option that won't break the bank. It features a comfortable non-slip grip made with plastic. That makes it ideal for people who plan on using the bolt cutter for long periods of time. The blade is heat-treated carbon steel constructed which is claimed to be very durable. It comes in three other sizes to suit your needs. But most importantly, Tradespro offers a lifetime warranty in case you experience any issues. For something very cheap, it is pretty durable and works (or cuts) well just as advertised. Knipex comes in next on our list as the upgraded pick. Although it’s the improved pick, it’s also one of the smallest cutters at 8 inches. However, lower doesn’t necessarily mean lesser. Because with the Knipex, you get a precision tool that can handle the thickest metals too. Knipex is exceptionally detailed in producing their mini bolt cutter. It has plastic coated handles for more natural control. Moreover, its jaws come with chrome vanadium electric steel. This chrome is tempered, heated, and treated to achieve immense strength for an 8-inch cutter. You can unlock jammed padlocks, disconnect chains, and cut bolts with only one hand! Its 8-inch size makes this easy to place in your pocket. Olympia Tools is my niche pick for this list because it’s one of the best for industrial workplaces. Hence, Olympia Tools’ Power Grip tool is the best bolt cutter for the toughest working conditions. That should be on top of your list if you’re a professional in need of these handy cutters. The appearance of the Power Grip speaks for itself. It looks bulky, heavy, and massive in size. However, this does not mean that only muscular professionals can use this. It only seems like it at first, but its weight waters down so hobbyists can use it as well. From the name itself, bolt cutters are for cutting bolts, heavy steel, padlocks and chains. It is also important to note that not all bolt cutters can cleanly or successfully cut through heavy duty locks. There are those locks that would take in more effort. However, cutting bolts and padlocks is not just the only use you have for bolt cutters. For some, they use bolt cutters to cut wire shelving. The task can be a little tiresome, so having a wire shelving cut in the store can be pretty expensive. That is also why some people opt to do it on their own. So, if you have any heavy-duty steel that you need to cut, then getting yourself a bolt cutter first would be very helpful. 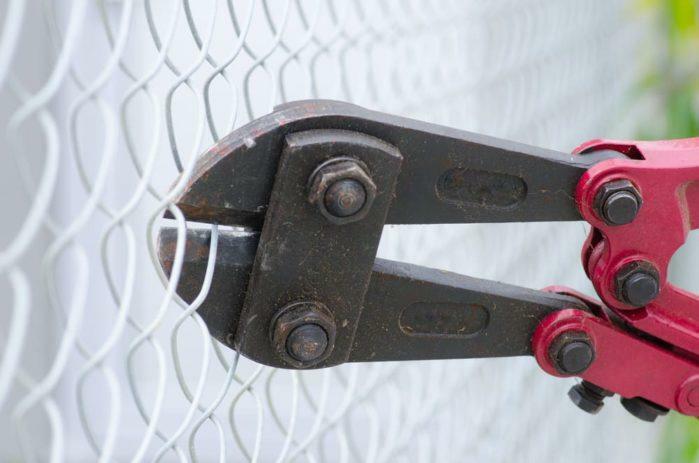 Since bolt cutters are suitable for heavy-duty projects, it should be heavy duty itself as well. 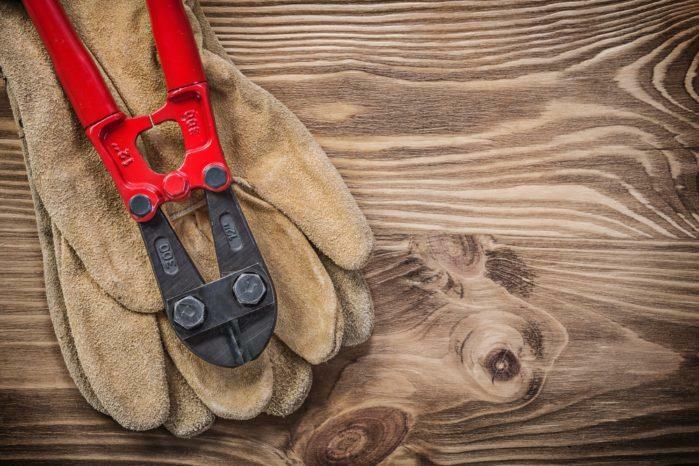 There are several things we think you might want to consider first before buying, to find the best bolt cutter for your project. There aren’t any types of a bolt cutter. Instead, bolt cutters come in different sizes to accommodate your needs and the nature of your project. The most common dimensions have classifications of compact, medium-sized and large bolt cutters. Compact bolt cutters are usually 250 to 305mm in size. They are lightweight, small (as stated in the name) and easily portable. However, they can only cut through soft to medium hard materials such as threaded rods and wires. These long arms will allow you to cut through bigger diameters. And finally, we have the large bolt cutters. Usually sized from 750 mm to 1.2m, this size range is best for sturdy materials such as steel rods, chains, copper cables and such. It is also crucial to assess the nature of your project. You might think that the material you plan to cut with the bolt cutter might be a bit too hard or too soft. Do not be afraid to check that out as well as the capacity of the bolt cutter you’re planning to buy. 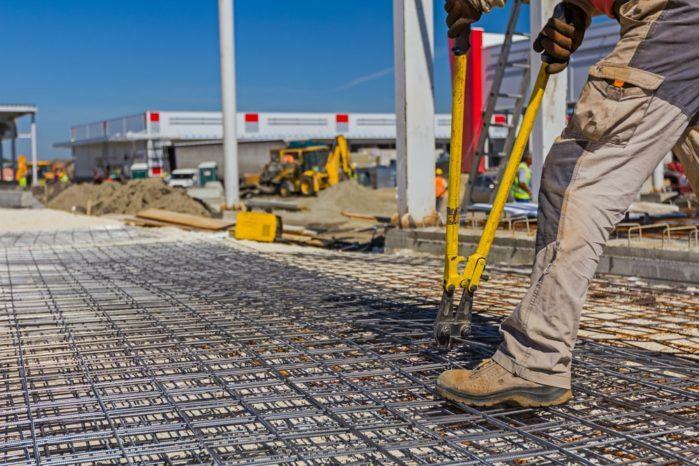 That will help you save time and money trying to work with a bolt cutter when in reality, it might not be a bolt cutter that your project needs. These two factors are pretty much intertwined. When people mention about the weight of bolt cutters, what they usually mean is the handle. Good bolt cutters also have handles with a comfortable, non-slip grip. Not only will it work efficiently, but it will also be a lot easier for you to work with for long durations. If you will be cutting heavy materials, it is best to get one with more extended handles. If it has extended handles, then this means proper leverage. The material of the handle affects the overall weight of the bolt cutter. Plastic is one of the most commonly used materials and is also very light. However, aluminum is much lighter but more expensive. If you are looking for a bolt cutter that is lightweight and highly portable, then these are some things you might have to look out. Most importantly, the quality of the bolt cutter’s blade is also a factor to consider. If you plan to use the bolt cutter often for an extended period, then you can. A steel blade is an excellent material for most bolt cutters out there. However, if you want something that is heavy-duty then, a forged steel blade with the edge hardened might be what you should get. Also, the edges that last long with little to no maintenance is also a good indication. Bolt cutters are an excellent investment for professionals, hobbyists, or even the average homeowner. You’ll never know when a lock will get jammed, or when a chain’s all tangled up. Not to mention, there are so many stuck bolts that we can encounter. Take into consideration the strength and durability of the bolt cutter you’re planning to buy. With that said, the Tekton is one of the best in the market that checks all boxes. But remember, you’re always not limited to my top pick. Niche picks like Olympia Tools Power Grip, and an upgrade like the Knipex are substantial purchases too. Good luck, and please do spread the word by sharing this with your friends! Many thanks!